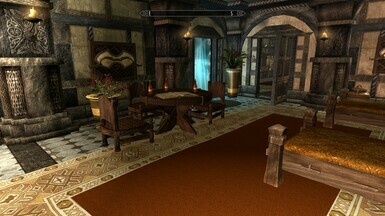 Dawnguard or Thieves’ Guild theme player home, has 4 bedrooms and is compatible with "HearthFire Multiple Adoption Mod". Home supports 4 children and 2 followers. Children rooms are switchable to followers for up to 6 followers. Home provides Well Rested perk gain 10% more experience, Lover's comfort 15% more experience and Father's/Mother love. 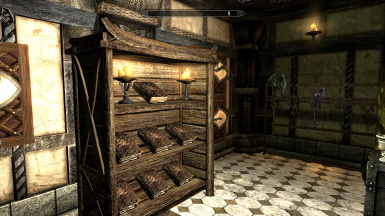 Cloud Storage with Crafting Centers This is a master file for this mod. 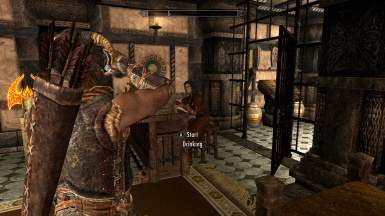 Tutorial by "subtanker" on how to make npcs go skinny-dipping, Whiterun Foundations by Elinen, Displays dragonClaw and others by Skyrim Lazz, Player unequip-script by Cuchullain and JaKhajay, Creation kit wiki UnequipItem – Actor and Creation kit wiki Light switch. 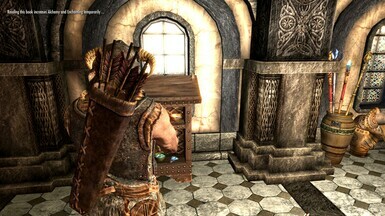 Removed Merchant's cash from inventory not need there. She will have 3750.00 gold in her chest for trading. 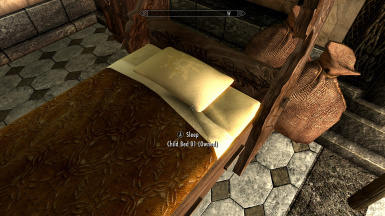 Added preferred path for NPCs and made a new form ID for each child bed. 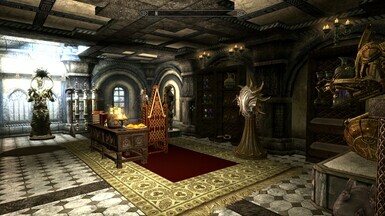 A new main file that is dependent on Cloud Storage crafting centers as a master file. The description has been changed to discuss the new changes. Reduce the size of children beds. 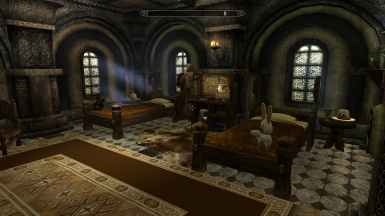 Some children won't sleep in standard in-game children beds. They need it smaller. fixed description of home return spell. 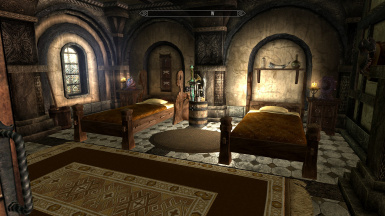 Changed guest bed ownership from player faction to none for guest that are tied to other factions. 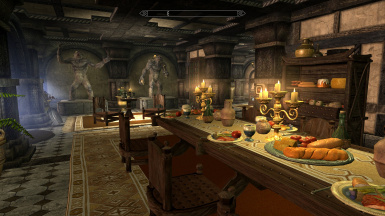 Works well with My home is your home mod. Face gen data was missing from 2.4 when uploading. this one has it. Added Change appearance mirror and Return Home Spell tome. 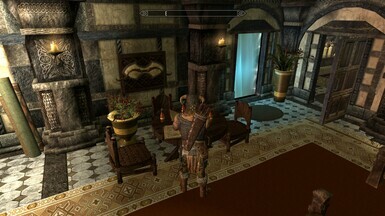 Added invisible furniture markers for player praying, translating, relaxing, and writing. 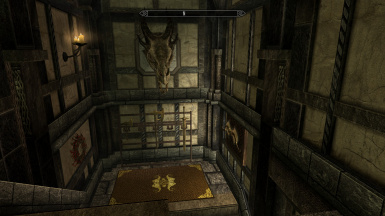 Changed player chest in guest room and added item to spouse house chest lower level by mask display. Change chair by desk to force 3rd throne animation. Added Snazzy's Racks and plaques. Added a custom dwe bench. added small room for Black book display. Added another bedroom so that the home has 4 bedrooms. Changed floors and walls on first level and lower level to match second level floors and wall. 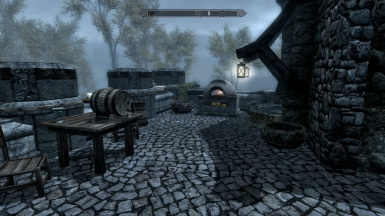 Added Oven crafting outside by fountain. Added a second key Knapsack by door. For player's new to linked chest, I changed the word Search Storage to Player's Safe Storage. Turn one of the patio benches 180 degrees. Small change to weapon rack angles. 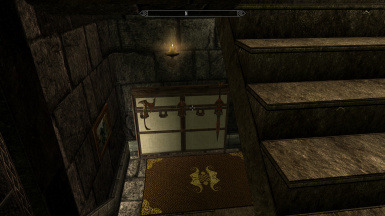 An attempt to get weapon racks to hang weapons more uniformly. Moved two mannequins to second level. Moved mannequins around to space them apart further. 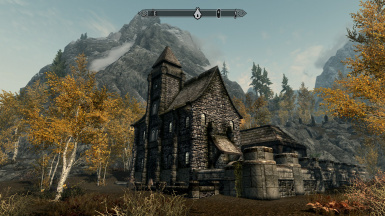 Cleaned the file and removed reference to my Whiterun home. Added Display for Dragon Claws. 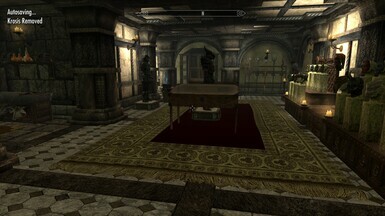 Changed some rugs to in-game models. 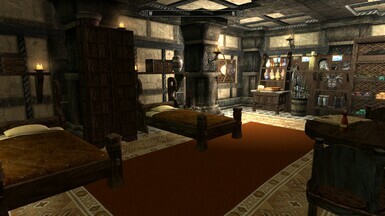 Added a missing custom carpet that was in master bedroom. 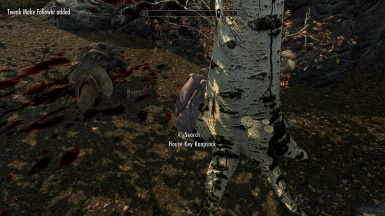 Roland’s Manor is locked and you have to collect the key from a knapsack by the dead body found in the backyard. 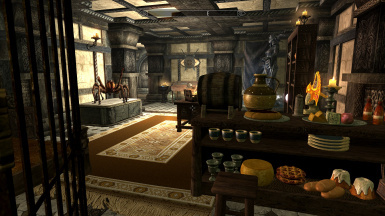 Roland’s Manor is a theme home for Dawnguard vampire hunter or a thief. 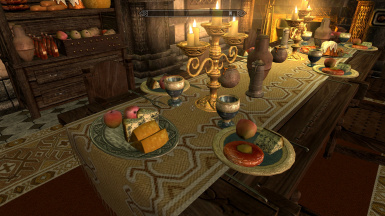 All my homes give the player the proper rest benefits. Well Rested if not with spouse, but Lover's comfort 15% more experience if you have a spouse in the home. 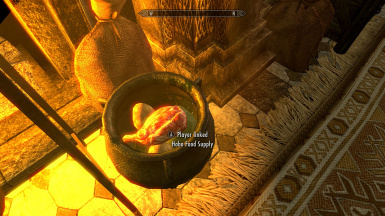 Father's/Mother's bonus yields a 25% additional effect when using healing potions. 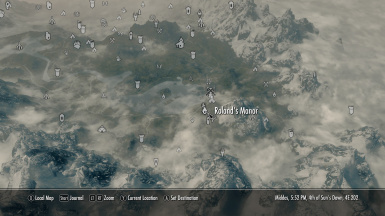 Roland's Manor dependent requires Cloud Storage with Crafting Centers to work properly. 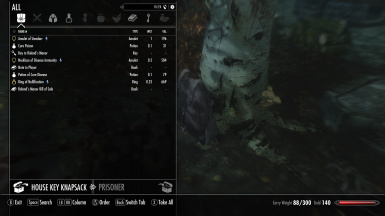 This mod uses linked containers to safely store all items. There are local linked chests and Hobo remote access linked chests. Roland Manor has four bedrooms. 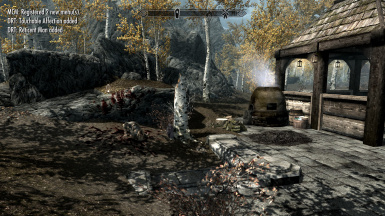 This home is compatible with the "HearthFire Multiple Adoption mod" to adopt the children. Children's beds are located second floor and first floor, and are assigned to adopted children for a total of 4 kids. The children's bed and chest will be labeled owned. 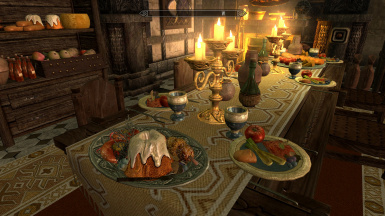 The home is compatible with: Hearthfire Multiple Adoptions by TMPhoenix NOTE: To move your Children/Spouse into Alvis Manor:a. Download Hearthfire Multiple Adoptions by TMPhoenix.b. 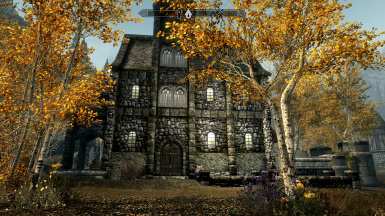 Enter Alvis Manor, and use the "Bless Home" Spell that comes with that mod.c. Talk to your Children/Spouse about moving into your "New Home". The buttons on the wall of each child's bedroom allows the owner to change it to a guest room for a maximum of 6 followers. 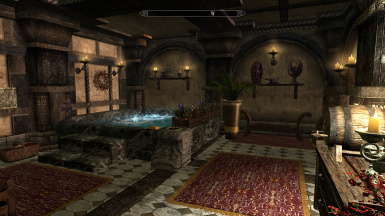 Master bedroom and lower level bed's are not changeable in this mod. 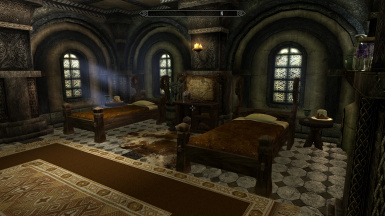 A custom spell has NPC followers remove armor when entering the bathing area or sleeping in the master bedroom. 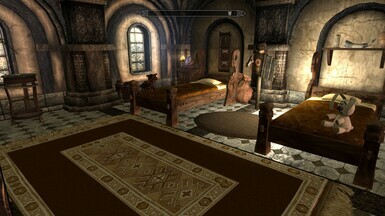 The spell to remove armor over the master bed can be toggled off if the player doesn't want it. 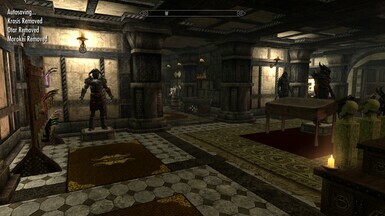 The home provides plenty of room to display books, shields, and weapons. 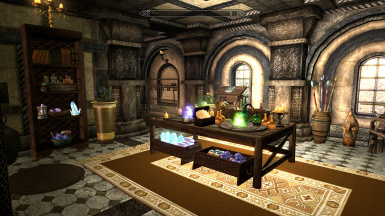 All your crafting needs are inside the home except the smelter which is located in the backyard. The shed should be able to provide shelter for horses. 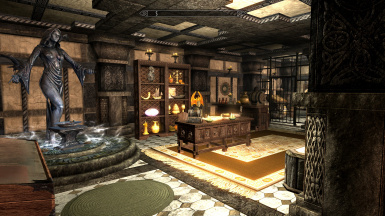 Inside the home there is custom displays for mask, claws, paragons, Elder Scrolls, Auriel Bow and Auriel Shield and a portal that can be used to travel to other holds. 5. Soap effect6. 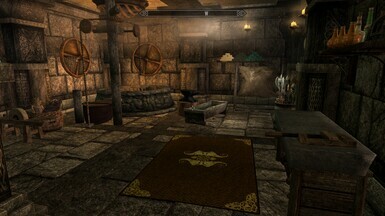 New textures for blanket, sheet pillow, racks, plaques, rugs, pictures and other custom statics. 7. Four banners to choose select button by table master bedroom. 9. Drink, relax, translate, write, throne chair and worship animation. 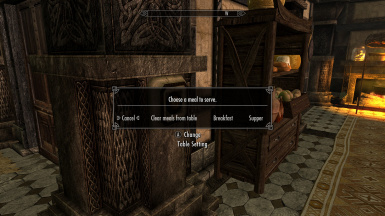 These are suggestions for all player homes not related to this mod but related to Skyrim's game play.